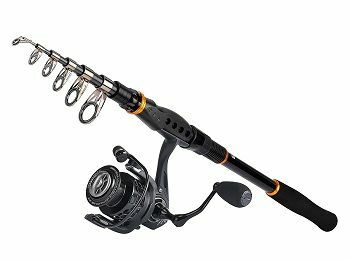 There are quite a few different things that one needs to take into very serious consideration when picking up a fishing rod, let alone a fishing combo. With this in mind, you need to be well aware of the fact that the specifications are truly abundant and that you need to take them into very serious account as they are going to determine whether or not the solution that you purchase is actually fit for your designation and purpose. With this in mind, we’ve taken the liberty of providing you with a very convenient option which is going to be great for spinning undertakings. If you want to get a fishing kit for your traveling undertakings – one which is going to be ready to use and it’s going to allow you to carry it with you everywhere you go, you’ve stumbled upon the right place. Of course, this is the first thing that you need to take into consideration. It is a powerful combo which comes with some serious capabilities claimed by the manufacturer. Despite its seamless and compact design, the product is claimed to bring about 26 pounds or 12 kilograms of drag power thanks to the carbon fiber construction. This means that you would easily go for some larger heavy-duty inshore fishing and you can easily cover the majority of freshwater river undertakings. 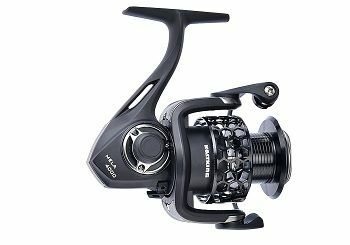 Of course, this is not a combo designated for heavy-duty offshore saltwater fishing as it’s highly unlikely to handle the pressure as well as the larger weight of big saltwater fish. 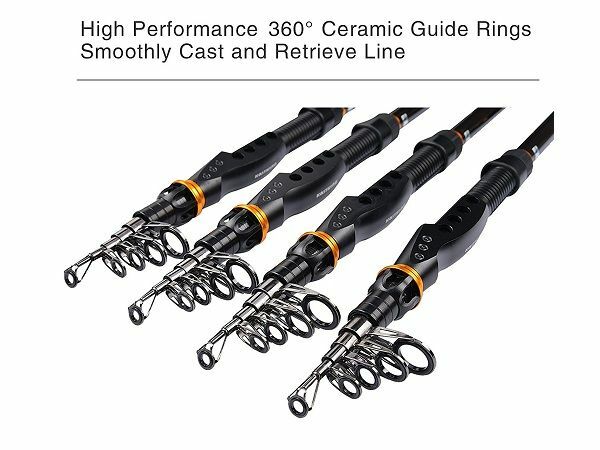 However, if you are looking for a very powerful entry-level fishing rod and you don’t want to waste excessive amounts of time going through different options on the market, this is definitely a great choice. Now, there are a few different things that you need to take into account when it comes to the combo kit. We are going to place the focus on the fishing rod and the fishing reel. The rod comes with extruded composition made out of carbon fiber. This is something which is going to provide you with some serious capabilities when it comes to it and it is definitely worth taking it into serious consideration. Even though it’s a travel rod, you can rest assured that you’d tackle fish of up to 12 KG without any issues at all. Power – medium. This is something to consider. Medium-weight power means that the rod is going to bend but not that much. This is due to the fact that the overall composition is not that resistant when it comes to it. The action is also medium which means that the rod will bend from the half way line onwards. Also, it’s going to take an average amount of time to get to its original form which means that you can easily tackle serious fish as the rod will provide you with great control. 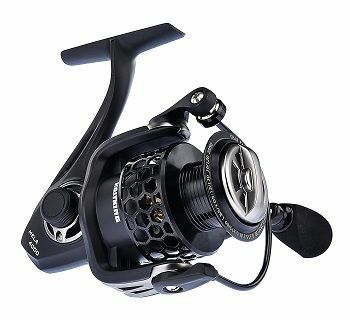 The fishing reel comes with 10+1 deep-race smooth ball bearings. If there is one thing that this is going to attribute to it’s the customization. You can rely on different drags which is something particularly convenient. There is also a very powerful instant stop anti-revers but you should be very careful with it in order to prevent any potential snapping of the line. Additionally, the spool is made out of extruded and high-end exquisite aluminum which means that it is high-performing as well as lightweight. All in all, you can rest assured that this is one of the best options on the market when it comes to entry-level travel fishing combos. The best thing about it is that it comes with a conveniently chosen rod and reel which go along with each other perfectly. This is definitely something that you should take into proper consideration. This is a telescopic fishing rod which will collapse to a length of a few inches, making it your perfect travel companion. If you are looking for a solution which would allow you to fish virtually anywhere, you can definitely take advantage of this particular product. This is something important and you need to take it into proper consideration. There is absolutely no need for you to waste time trying to find each piece individually as this combo comes assembled and ready to use. What is more, there is even a free spare spool.